X-Files: The Collector's Set Only $129.99! 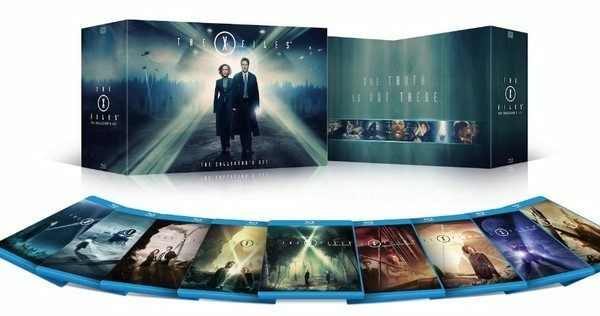 You are here: Home / Great Deals / Amazon Deals / X-Files: The Collector’s Set [Blu-ray] Only $129.99! X-Files: The Collector’s Set [Blu-ray] Only $129.99! Now for the first time on Blu-rayTM, the original nine exhilarating, groundbreaking seasons of The X-Files, along with exclusive special features, can be yours to own. Although they begin as reluctant partners, FBI special agents Fox Mulder and Dana Scully (Golden Globe® Winners David Duchovny and Gillian Anderson) ultimately form a powerful bond as they struggle to unravel deadly conspiracies and solve paranormal mysteries. With over 23 hours of extras, including documentaries, and commentary by creator Chris Carter and the production team as well as special effects sequences and deleted scenes this collection, which includes space for the upcoming X-Files Event Series in 2016, is a must-have for any fan of the truth!